Step by step they are changing this courtyard from an anonymous non-place into a lively funny playground for grown-ups. Recycling, or maybe upcycling, I don’t care how it is called. The most important thing is that they actually are doing it, themselves. The group has only women, between 40 and 65 years old. Not that they don’t ask the others to join. They do. But the men are mostly too drunk. And the younger generation just doesn’t understand why to work without getting paid. But these ‘girls’ do. And how. 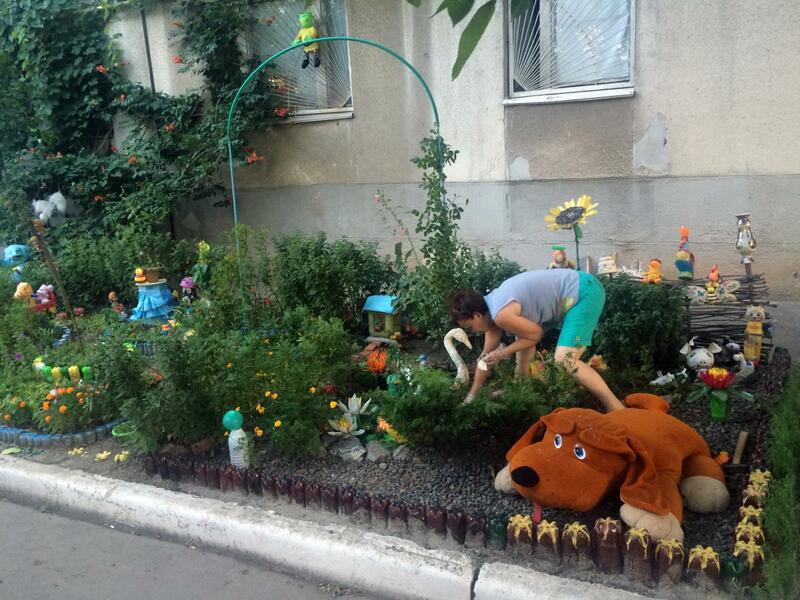 Grass roots Mariupol style!